Product Overview Acclaimed Innovations. Groundbreaking New Features. Launched in 2007, the first Ensemble re-defined the possibilities of the personal studio interface, setting new standards of quality, simplicity and value. Winning that year’s TEC Award for Digital Audio Technology, Ensemble went on to become the preferred interface for thousands of hit-making producers, engineers and artists. 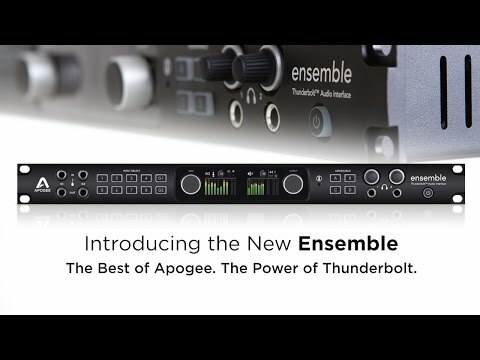 Now, with 30 years of digital audio expertise and the latest technological innovations, Apogee has re-built Ensemble to introduce the next generation of music creation technology.